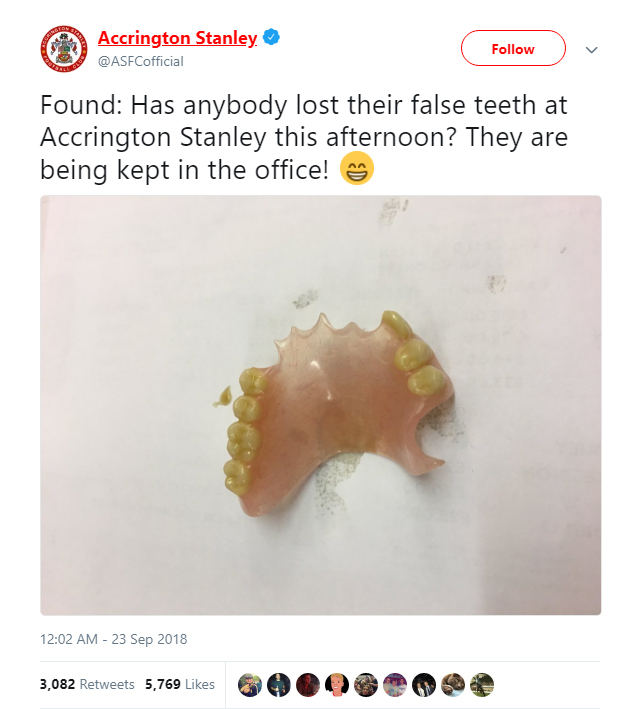 Accrington Stanley have launched a bizarre appeal in the hope of reuniting a fan with a set of FALSE TEETH left behind at the Crown Ground. One supporter clearly got a little bit too excited following a gripping 2-1 home win against Wimbledon on Saturday - leaving his pearly whites in the stand. 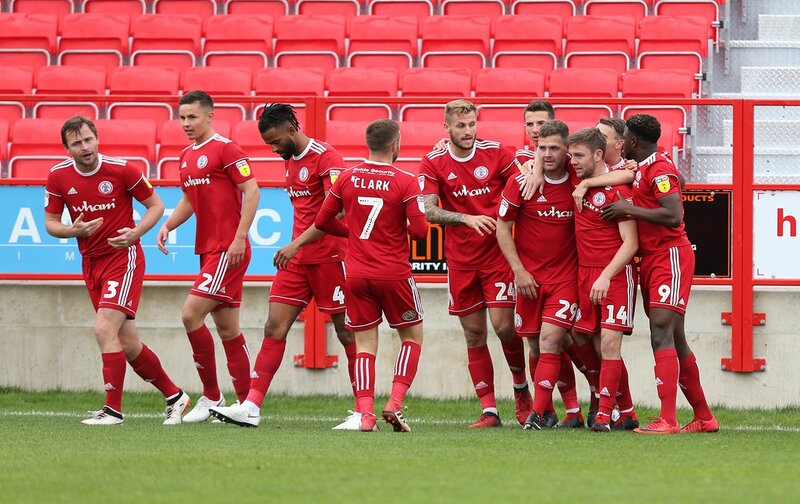 The League One side tweeted an image of the lost dentures to their 63,300 followers, but the owner is still yet to be found.